Energy, Focus, Clarity, Appetite Control, & Fat Loss! Extreme Fat Burning & Potent Stimulant Properties Without The Crash! Higenamine is an exciting ingredient that is highly acclaimed for its positive effects on mental focus, clarity, energy, fat loss, and appetite suppression without the crash feeling that is commonly associated with many popular stimulant and fat burning ingredients. SNS has changed all that by offering 30 mg Higenamine capsules at a GREAT PRICE!! 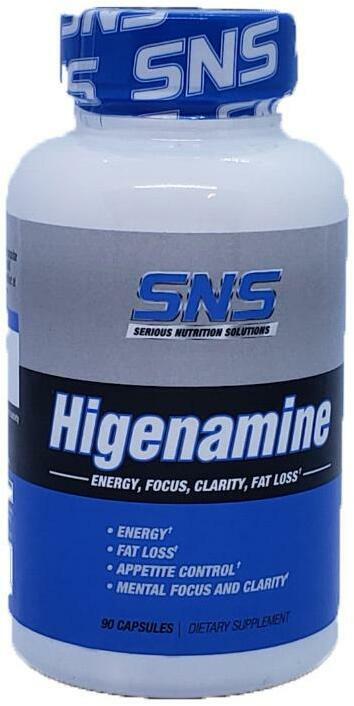 Higenamine is a naturally occurring fat burning stimulant found in a variety of plant species and is most associated with being a member of the Nandina plant family. Higenamine is most commonly used for fat burning, appetite suppression, boosting energy, and improving mental focus and clarity. In simple terms, Higenamine appears to have an affinity for Beta-2 adrenergic receptors, which makes it a popular option for energy and fat burning. It might potentially also work on Beta-3 adrenergic receptors (which means it can potentially burn brown adipose tissue).Higenamine also works on alpha-adrenergic receptors, which increases levels of norepinephrine. A study in human subjects found that acute supplementation of Higenamine stimulated lipolysis, increased energy expenditure (meaning it is thermogenic), resulting in an increasing of circulating free fatty acids, and resulting a caloric deficit in subjects due to Higenamine supplementation. That’s right, a human study. Unlikely many stimulants out there, Higenamine has been studied in humans. No rodents or animal studies here, human studies.